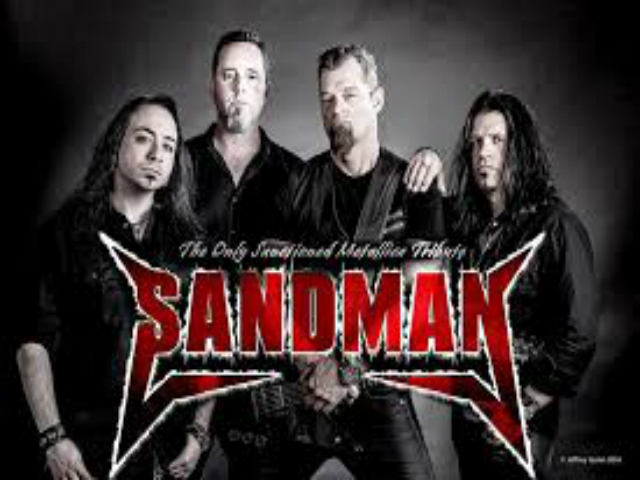 SANDMAN, the only Metallica sanctioned tribute band, has been blowing audiences away since 1994. Band members Rick Van Dyk (lead vocals and lead/rhythm guitar), Joe Di Taranto (lead/rhythm guitar and vocals), Paulo Fonseca (bass and vocals), Brent Niemi (drums), collectively have a lifetime of musical experience playing and recording with recognized bands such as Helix, Honeymoon Suite, Headstones, Anvil, Warmachine, Russ Dwarf of Killer Dwarfs, Darren Smith of Harem Scarem/Red Dragon Cartel, as well as Classic Albums Live. After a curious series of events in early 2016, the members of Metallica gave SANDMAN their blessing to pay tribute to their music, resulting in a momentous meeting at Toronto’s famed Opera House in November 2016. Sandman plays regularly at venues throughout Southern Ontario such as Maxwell’s in Waterloo, Sarnia’s Station Music Hall, the Oshawa Music Hall, and Toronto’s Opera House.